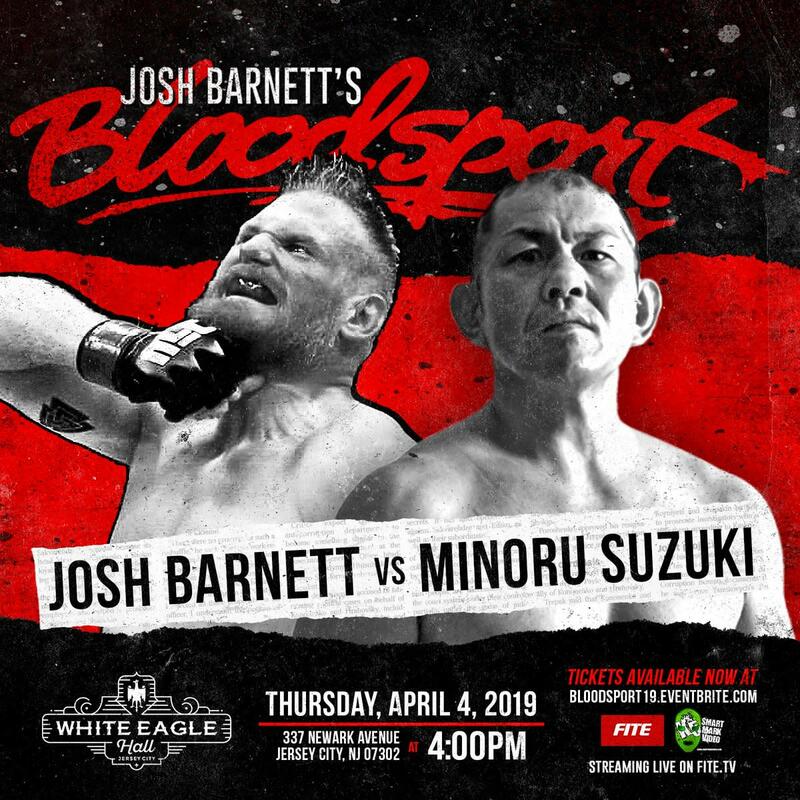 The main event of Josh Barnett’s Bloodsport has been set, and naturally it will feature the show’s titular star against one of the most well renown shoot-style wrestlers of the modern era. Suzuki was also in the main event of last year’s Bloodsport main event, where he defeated Matt Riddle. Matches that have been announced for this year's event include former UFC Heavyweight champion Frank Mir against Dan Severn, Timothy Thatcher vs. Hideki Suzuki and Killer Kross vs. Davey Boy Smith Jr. Filthy Tom Lawlor and Jonathan Gresham will also appear on the show. The event, which takes place on April 4, will be held under the Game Changer Wrestling banner as part of their Collective series of shows. Other promotions running shows under the Collective banner WrestleMania weekend include AIW, CHIKARA and Black Label Pro.